The resolution has always remained the main factor for deciding the surveillance technology in CCTV industry. Starting from Analogue cameras & sudden entry of IP CCTV cameras, the transition continues. The market is always looking for good resolution at affordable prices, but IP cameras could not justify the prices with resolution. Analog High Definition AHD technology invaded market & made all types of TVL (TV Line) technologies obsolete. AHD is the technology owned & developed by NEXT CHIP along with the A-CP communication protocol, not only technically but defeated TVL in terms of cost and resolution. AHD video surveillance standard uses coaxial cable (RG59 or RG 6) to transmit High Definition (HD) video, between camera & the recorder or monitor & supports 720p, 1080p HD video resolutions as 1.0, 1.3, 2.0 Megapixels. The above transmission distance is the biggest advantage over HD-SDI (High Definition serial data interface that i limited to 100M only followed by the use of expensive transponders for further video transmission. As the video signal is not altered or processed, the transmitted video appears as the broadcast quality with no delay in the video. 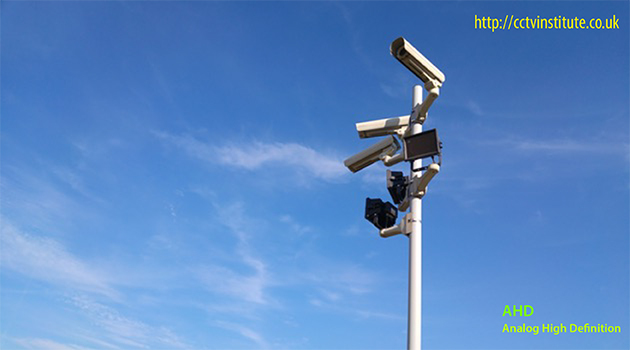 On an existing Analog CCTV system infrastructure, the DVR need to be replaced by the Hybrid DVR that can support analog as well as AHD cameras without any compatibility issue. This way the existing Analogue cameras & new Analog High Definition AHD CCTV cameras work together using same cable on the site hence reduces the cost. The average cost reduction is 25~30% less than the analogue CCTV system. The DSP chips are easily available to all thereby the cost of production is less. Copyright © 2019 CCTV Institute. All rights reserved.